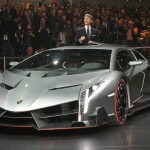 2013 Lamborghini Veneno at Geneva Motor Show: VIDEO! 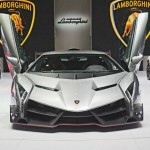 “Automobili Lamborghini” this year celebrates 50th anniversary with unveiling the unique 2013 Lamborghini Veneno with 6.5L V12 engine with output of 750bhp. This beast accelerates from 0-100km/h in j2.8 sec. and its top speed is 355km/h. 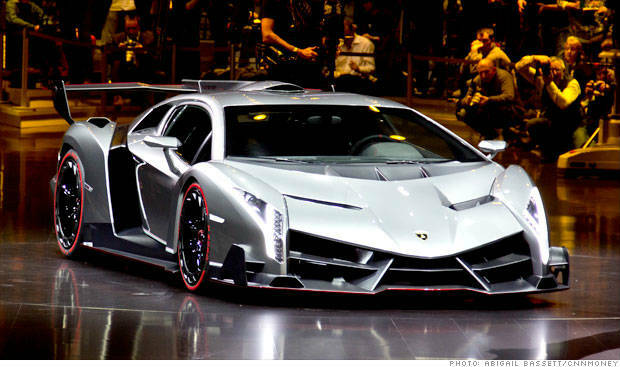 Veneno is a street legal racing car and it entered the show like a true star by stealing it in front of the eyes of the spectators! 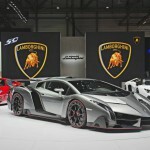 And this show is not just a regular one, but the Geneva Motor Show! 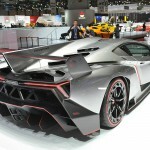 The Veneno had its World Premiere right there in Geneva in 2013, a show that suits the role of a host for a vehicle like this! If you know German, if you understand what the host says it will be easier for you. Either if you don’t, express your admiration by looking and listening to this automobile. We don`t know about you, but we got pretty jealous when that guy went in the car! Finally, here is the top rated car. Is this the fastest car? Check it out on this link!